Brilliant Entertainer. Sony has introduced a new member of the Vaio C series. As well as a Full HD display and Blu-ray drive, it has an Intel processor from the latest Sandy Bridge range and an AMD graphics card. Can the notebook shine when it comes to performance, or is it only the case that is dazzling? Sony has unveiled the new Vaio VPCCB2S1E/B, a new model in the C series. The Vaio CB2S1 is intended to be a stylish portable companion that handles multimedia tasks particularly well. In any case the Full HD display and the integrated Blu-ray drive make this abundantly clear. But the notebook’s hardware is impressive in other respects too. As well as a processor from Intel’s latest Sandy Bridge family, you get a graphics card from the AMD HD 6000 series. A backlit keyboard with a separate number pad should round off the package nicely. 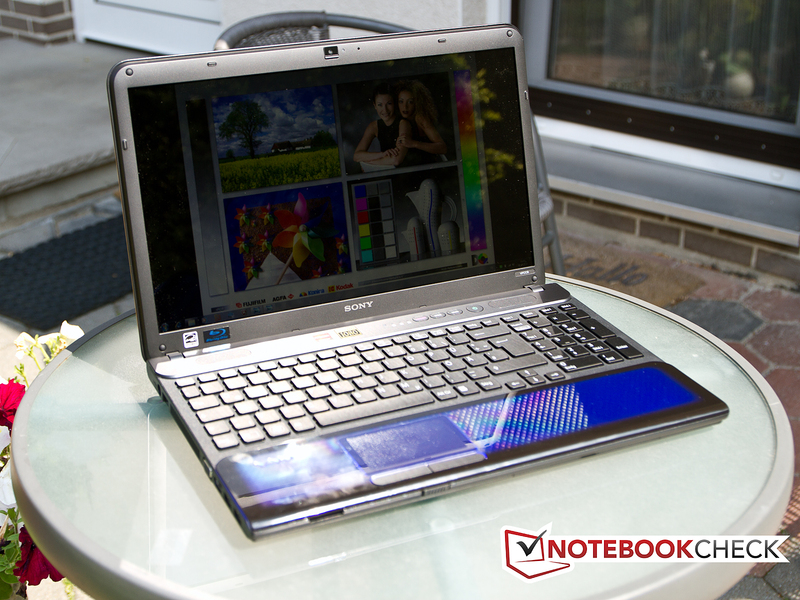 The Sony Vaio VPCCB2S1E/B certainly knows how to dazzle, but is it more than just a pretty case? Find out in our review. 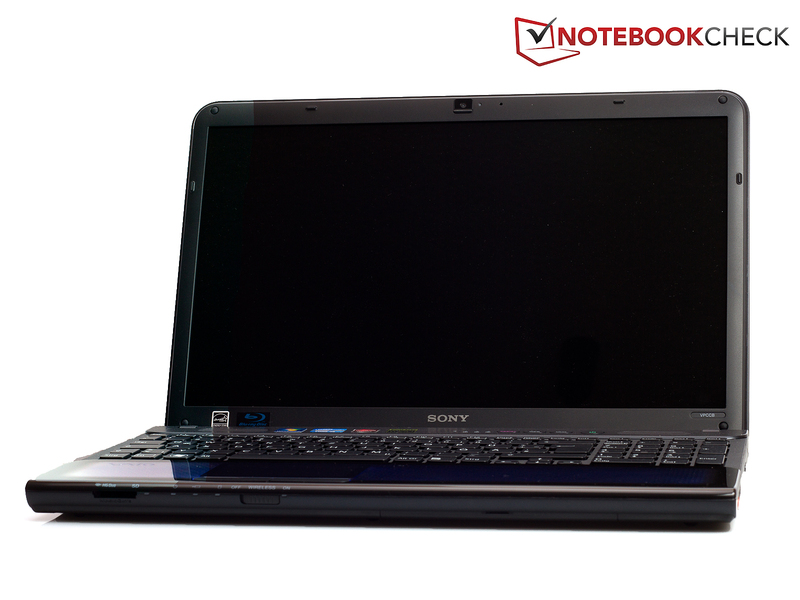 Sony’s notebook cases usually stand out with their attractive designs and good build quality. The Vaio VPCCB2S1E/B is no exception. The black design (or white if you prefer) makes an excellent first impression, and has a number of interesting gimmicks to entice you. A 3D effect has been built into the lid and the area below the palm rest, which makes it look like there are little square boxes under the surface. 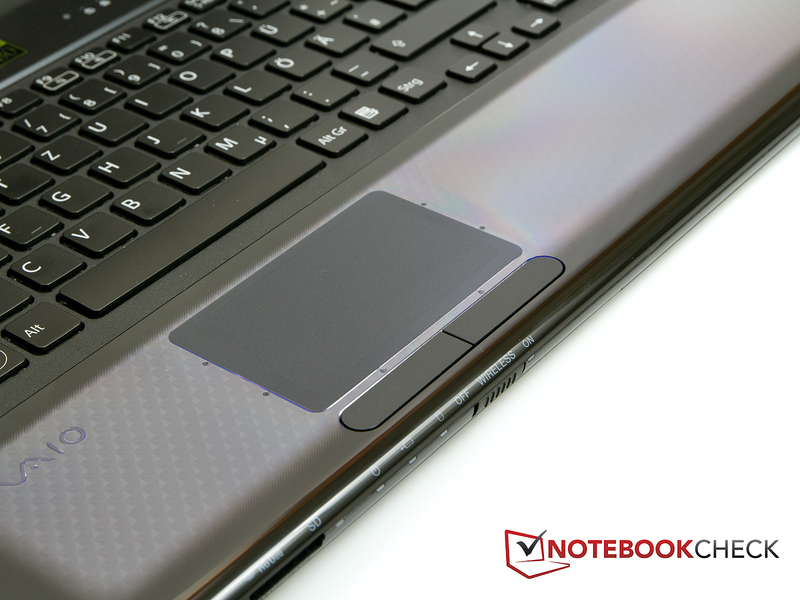 It’s a nice effect, but it also has its downsides - every single one of the notebook’s surfaces are high-gloss plastic surfaces. These seem to magically attract fingerprints and greasy smudges, and are quickly covered in them. So you should always carry a soft microfibre wiping cloth with you in your notebook case. Despite this, we actually really like the 3D effect created by the plastic surfaces. It is particularly striking in the palm rest area. Depending on how the light falls on the surface, the pattern underneath will sometimes glow blue (clearly visible in our photographs). In terms of build quality, the Sony Vaio notebook does not lag behind its rivals; it doesn’t make cracking or creaking sounds. And even the display lid strongly resists being twisted, although it is also comparatively thick. The two display hinges hold the lid firmly in place, but only after it has stopped wobbling backwards and forwards a few times. It is possible to open the laptop with one hand, but the base unit is pulled upwards a little with the lid. The Sony Vaio’s base unit appears solid. The palm rests hardly flex at all even under heavy pressure, but the keyboard is not as resistant to pressure as you would hope. In the centre it is still fairly sturdy, but the closer you get to the edges, the spongier it gets. It is particularly noticeable in the number pad area - which you can feel flexing even during normal use. There are two access panels on the underside which allow you to upgrade the Sony Vaio VPCCB2S1E/B, although they have only given you access to the RAM and the hard drive. The rest of the hardware is kept away from the user. 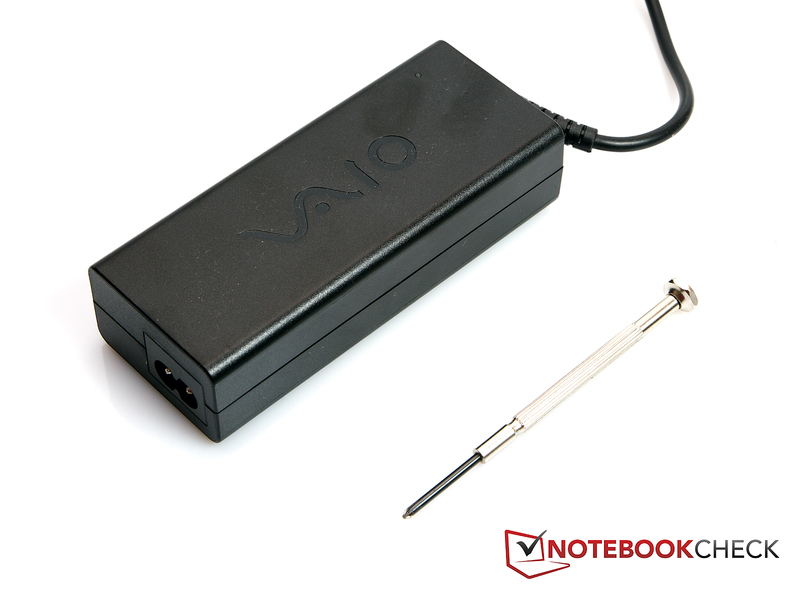 There are no big surprises on the Sony Vaio when it comes to the choice of ports. In fact it delivers all the ports you would usually demand of a modern 15-inch notebook. USB 3.0 and HDMI are the first that we should mention. Unfortunately Sony has decided against an eSATA port, probably because there is already a faster USB 3.0 connection on board, and external hard drives can be quickly connected to the notebook over this. But the decision will annoy users who already have an external eSATA hard drive. Meanwhile in terms of layout, Sony has opted for placing all the ports near the front of the notebook. While the right side has both audio ports and two USBs near the front edge, the left side has all its ports near the front. It’s a particular shame that the USBs, which will be much in use, and the HDMI and VGA ports are so far forward. When the notebook is in stationary use, this will produce something of a spaghetti of cables. It would have been nice if the cables had been laid out a little more thoughtfully. 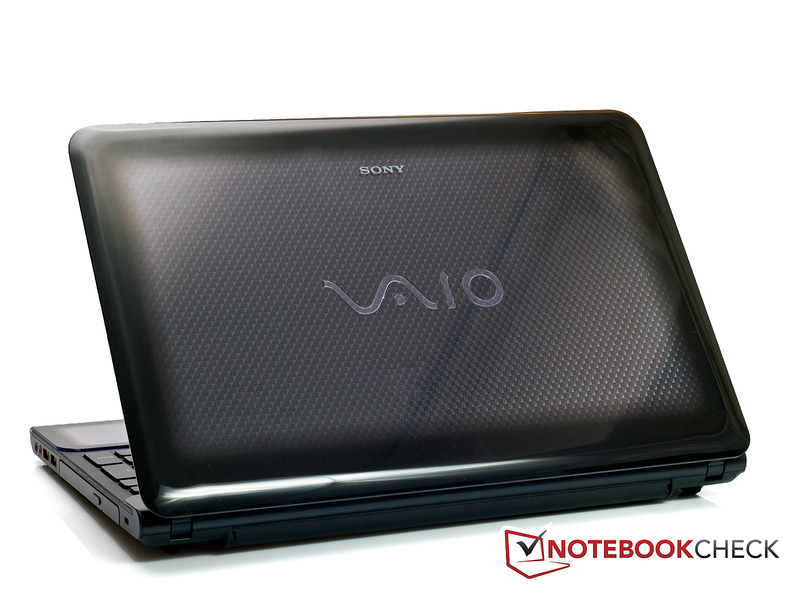 In this respect the Sony Vaio notebook gives you everything your heart could desire. If you use a wired connection to go online, you can use the Atheros AR8151 PCI-E adaptor, which supports Gigabit Ethernet as well as 10 and 100 MBit/s. A wireless adaptor (AR9285), also by Atheros, delivers a wireless connection. This supports the 802.11 b/g/n standards. Bluetooth is also integrated directly into the notebook. This comes in the latest version 3.0. So speeds of up to 24 Mbit/s are possible, in theory. The Sony Vaio’s extras are not exactly extensive. Other than the notebook and the battery, you only get the power block with cable and a small set of instructions. The one-year base warranty that the notebook comes with can be extended by a year if you register with Sony. However, no details are given about the exact coverage provided by the warranty. 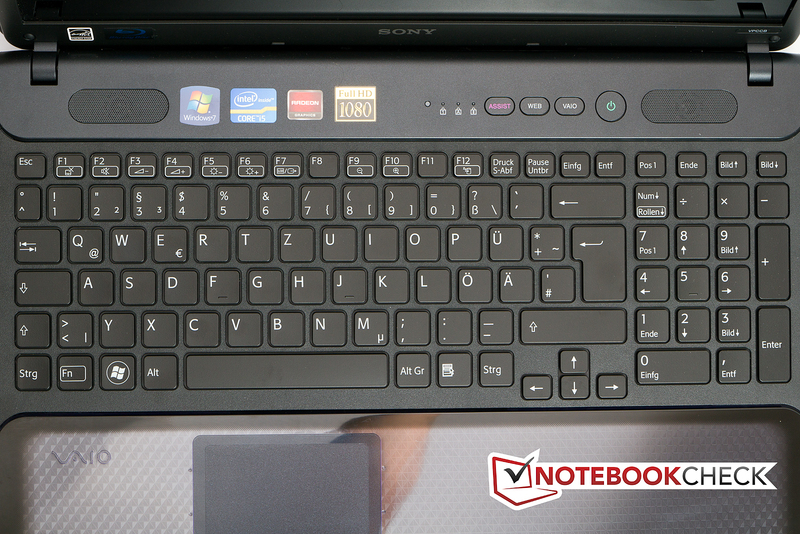 Sony has opted for a chiclet-style keyboard with free-standing keys for the VPCCB2S1E/B. Each key measures 15 x 15 mm, so should provide enough space even for larger fingers. The distance between the keys, at 4 mm, gives you sufficient space to type comfortably. It’s also good to see the number pad which Sony has managed to fit on the VPCCB2S1E/B. Add to this the keyboard backlighting and you have a very good-looking but also practical keyboard. It is easy to use even in the dark. The backlighting does turn itself off again relatively quickly, but with the press of a button it can be reactivated. The keyboard is also very pleasant and comfortable to type on; it feels crisp, and you will have no difficulty even with longer texts. Unfortunately the keyboard’s noticeable flexing takes the shine off the positive typing feel. Even when you’re typing very normally, without exerting much pressure, the keyboard gives way by several millimeters. This makes the keyboard feel mushy in places, particularly around the number pad. If the keyboard had been more robust we could have given it a very good rating in this section, but as it is, it gets only a ‘good’. While the keyboard was a little disappointing upon closer inspection, the touchpad does its best to make up for it. With a diagonal of 95 mm (85 x 50 mm) it may not be one of the largest touchpads around, but it is easy to work with. The touchpad has a 5 mm thick, smooth edge, separating the rough part from the palm rest. So it gives you tactile feedback as to whether you are still on the touchpad or not. It supports multi-touch, and also has vertical and horizontal scrollbars. The two touchpad buttons below the touchpad produce mixed feelings. On the one hand, they have a very good feel to them. For instance the tactile response and the touch are well chosen. On the other hand, the workmanship is a little disappointing, as the right-hand button seems to sit rather loosely in its setting. The display is definitely one of the high points of the notebook. For one thing Sony has generously equipped the Vaio VPCCB2S1E/B with a Full HD display, with a 1920 x 1080 resolution and 16:9 aspect ratio. This means that the screen is of course ideal for watching films. This a very sensible configuration, especially in combination with the integrated Blu-ray DVD drive. Thanks to the HDMI port, the notebook can also be hooked up to a large flatscreen monitor in your living room, saving you the cost of a separate Blu-ray DVD player. Our readings show just what kind of a screen this is. The brightness readings are all over 200 cd/m², which is definitely a point in its favour. The maximum brightness is 233 cd/m², and the average brightness is 227.4 cd/m². These values are not absolutely top of the range, but they are on a very good level. We also want to draw attention to the even distribution of brightness of this display. At 95%, it is almost perfectly uniform. Also very good, though not quite perfect, is the screen’s black level and its corresonding contrast. The black level is 0.38 cd/m², which is commendably low. This has a positive effect on the contrast ratio, which comes in at 613:1, an excellent figure. Many rival products have contrast ratios of only 150:1. Games and films will benefit from good contrast and black levels especially. But while the display has been wholly convincing up till now, it does have some weaknesses. For one thing, the maximum brightness in battery mode is limited, so the original value of 233 cd/m² becomes only 197 cd/m². The sRGB colour space can be reproduced almost entirely, with only some small parts that aren’t covered. 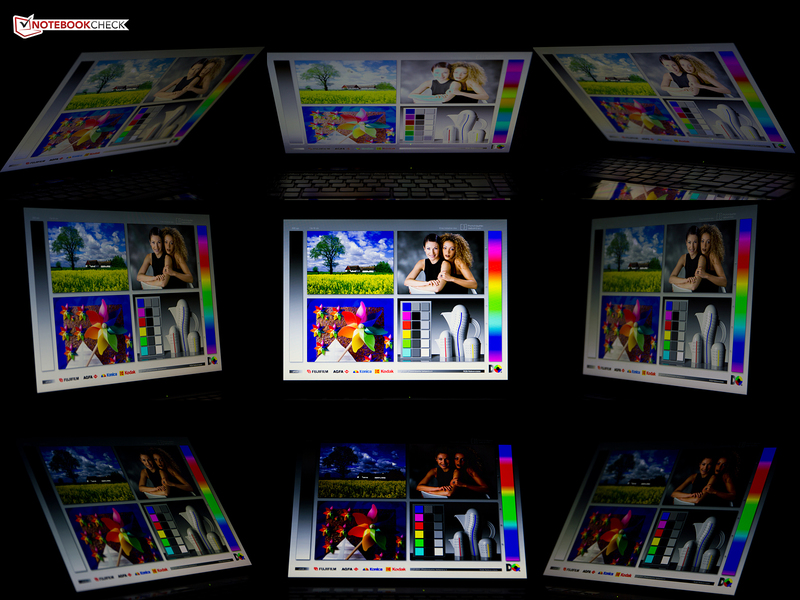 But compared with the Adobe RGB colour space, the screen doesn’t come off so well. And in a direct comparison against a different Full HD display, in this case that of the HP Envy 17-1190eg, the Sony Vaio has to admit defeat. When used outdoors, the notebook’s screen was not entirely convincing. This is firstly due to the reflective screen surface. Depending on your viewing angle, you can usually get a great look at your surroundings, but not the contents of your screen. Secondly, it gets harder to read the text on your screen with the reduced maximum brightness in battery mode, and only very few people will be able to sit in their garden or a beer garden whilst plugged into the mains. When you keep to the shade, the screen contents are easier to make out. But if there is a large light-coloured surface behind the user, this is mercilessly reflected in the display. The Sony Vaio VPCCB2S1E/B’s viewing angles are fine. Looking at the display face-on, the area in which the picture remains as it should be is very large. So having several people sitting around the screen is unproblematic, which is not as irrelevant as you might think, because you might for example want to watch a film with other people. When you tilt the display backwards or forwards, however, the viewable area quickly gets smaller, with the picture beginning to invert or fade out. 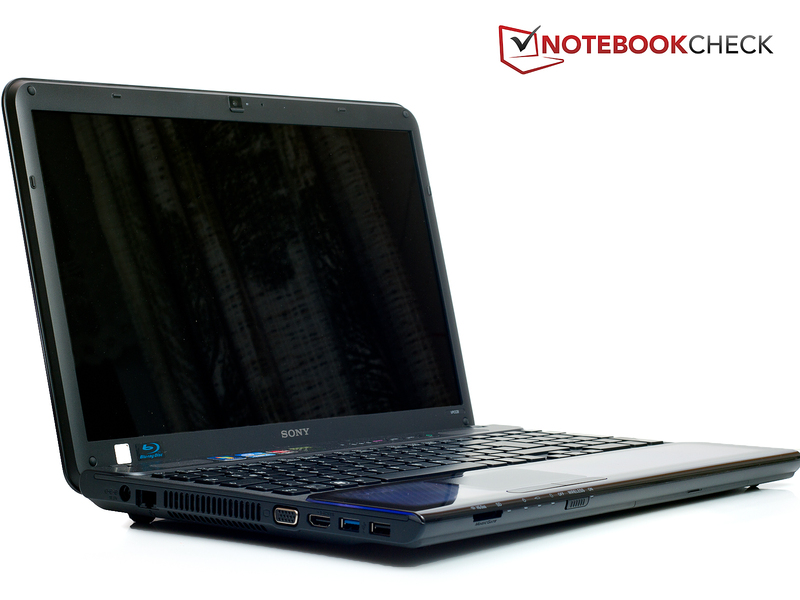 Sony has fitted the Vaio VPCCB2S1E/B notebook with an Intel Core i5-2410M processor. This is a dual-core processor from Intel’s latest Sandy Bridge series. The 2410M is a mid-range processor in terms of performance, but with a standard speed of 2.3 GHz the two processor cores have enough clout for most applications. And if it does run into difficulties, Intel’s Turbo Boost technology can give it a small boost in performance; the processor is overclocked when needed. If only one processor core is needed, the speed is raised to 2.9 GHz. When both cores are used, the speed can still be raised to 2.6 GHz. You do of course need sufficient cooling to cope with all this. The processor is very frugal, with a TDP of 35 Watts; so a 15-inch notebook like the Sony Vaio VPCCB2S1E/B should have no problem cooling the processor. For graphics, the job is not left to the Intel HD Graphics 3000 card integrated into the processor, but rather a dedicated AMD model, the Radeon HD 6630M to be precise. Occasionally it is still called the ATI Radeon HD 6630M, but this is not entirely correct. After AMD bought ATI, it has gradually started phasing out the ATI name, and so the latest 6000 series now only bears the name AMD. Like the processor, the AMD HD 6630M is a mid-range model. It will allow most modern games to run smoothly on the medium or high details settings. Newer games especially will benefit from the card’s DirectX 11 capability. We evaluated the processor performance using the Cinebench benchmarks, versions 10 and R11.5. In the Cinebench R10 single rendering (64 Bit) benchmark, the Sony Vaio VPCCB2S1E/B scored 4631.0 points. 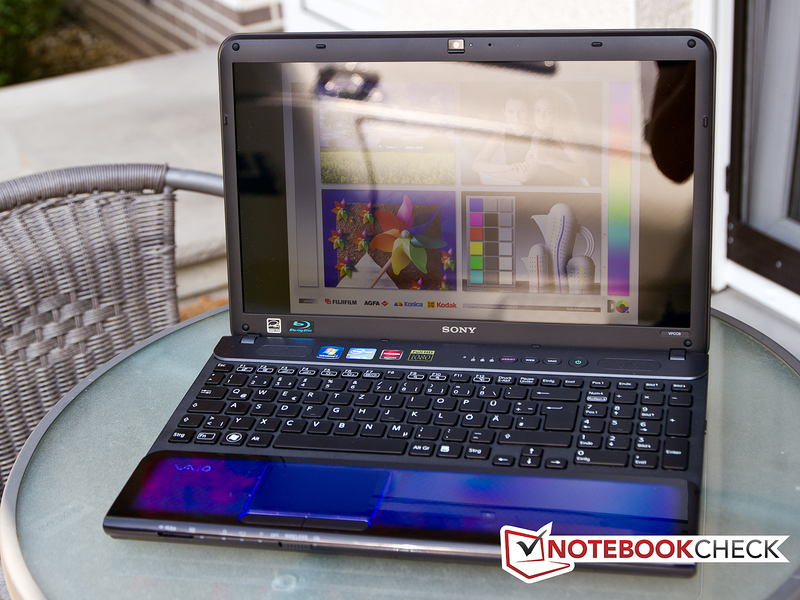 Compared with other notebooks which use the Intel Core i5-2410M, the Sony notebooks stands up well. 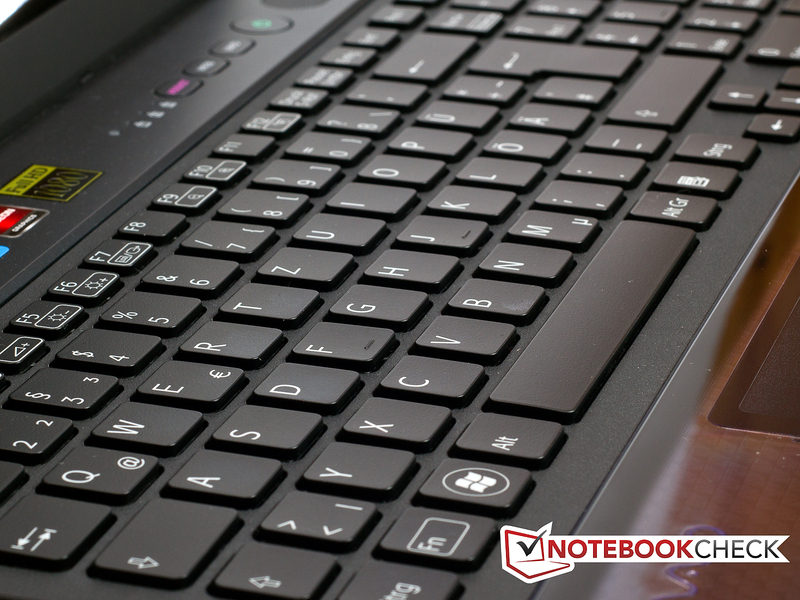 There are only a few notebooks with the same processor that are faster than the Vaio. The frontrunner of these notebooks is the MSI A6400-Ci507 S (2410M, HD Graphics 3000) with its 4670.0 points. That is only 39 points better. In the Cinebench R10 multi-rendering (64 Bit), the Sony Vaio again scores very well compared to its rivals. With 9827.0 points, it is once more only a short way behind the fastest notebook with a 2410M processor. 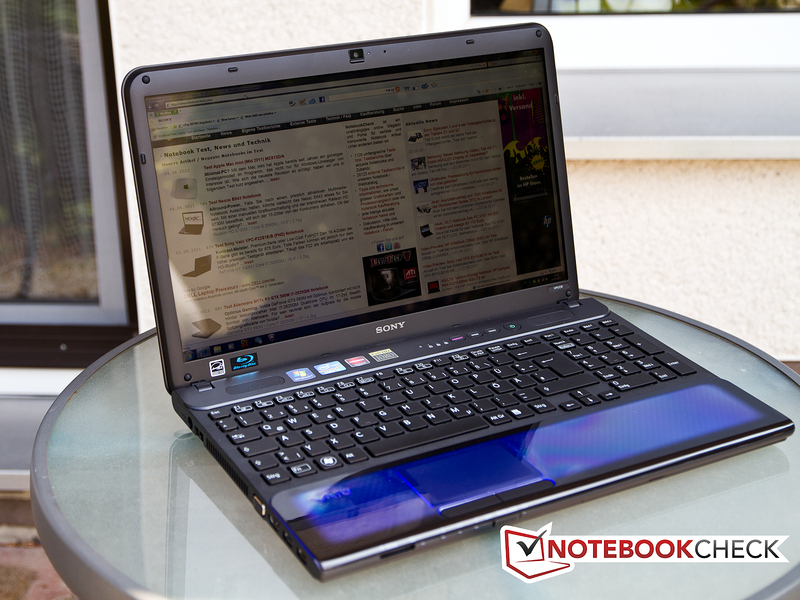 The Acer Aspire 5750G (LX.RAZ0C.008) (2410M, GT 540M) has a very narrow lead with 9840.0 points. To determine the overall system performance of the Sony Vaio VPCCB2S1E/B, we used both the PC Mark Vantage and PC Mark 7 benchmarking programs. 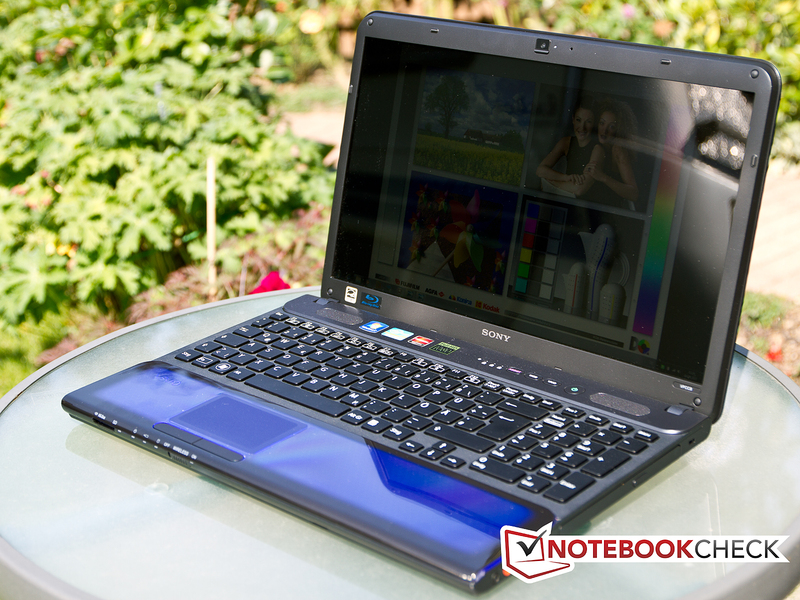 In the PC Mark Vantage benchmark, the notebook scored 6150.0 points overall. This places it in the upper third of our table of benchmark results. Compared with the other notebooks which use the Intel Core i5-2410M processor, the notebook does not do badly, finishing near the top of the middle section. In the same region as the Sony Vaio are notebooks like the Dell XPS 17 (840QM, GT445M) for example, which scores slightly higher than the Vaio with its figure of 6153.0 points. The 15-inch Apple MacBook Pro 2011-02 MC721LL/A (2635QM, HD6490M) even finishes below the Vaio with 6133.0 points. For the PC Mark 07 test, the result does not look as good, but we have not been using this benchmark in our reviews for that long and so the results table is not as well populated as the one for the PC Mark Vantage test. Here, the Sony Vaio falls behind its competitors with the same processor. It scores 1732.0 points. 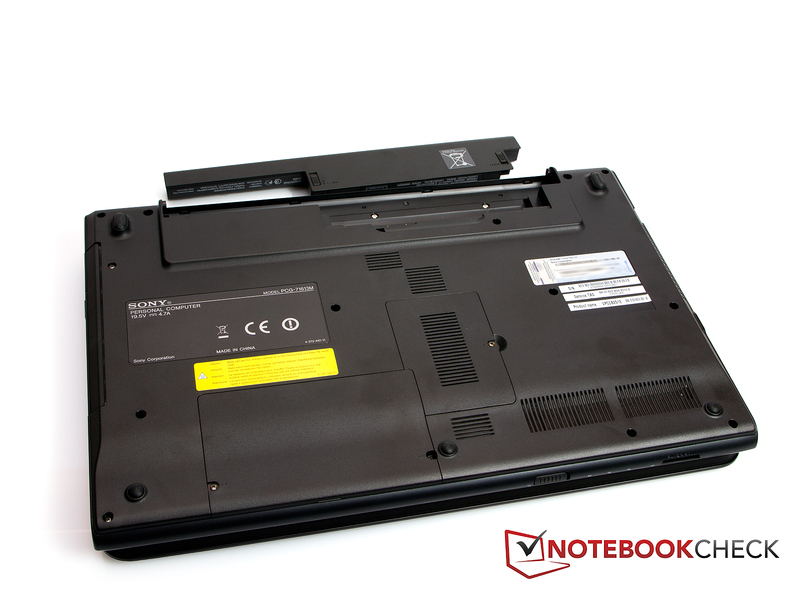 Notebooks with similar hardware like the Dell Vostro 3450 N34506 (2410M, HD 6630M) achieve significantly higher results (1911.0 points in the case of the Dell notebook). In order to judge the graphics performance of the Sony Vaio notebook and the AMD Radeon HD 6630M graphics card, we used the 3D Mark 06 benchmark. 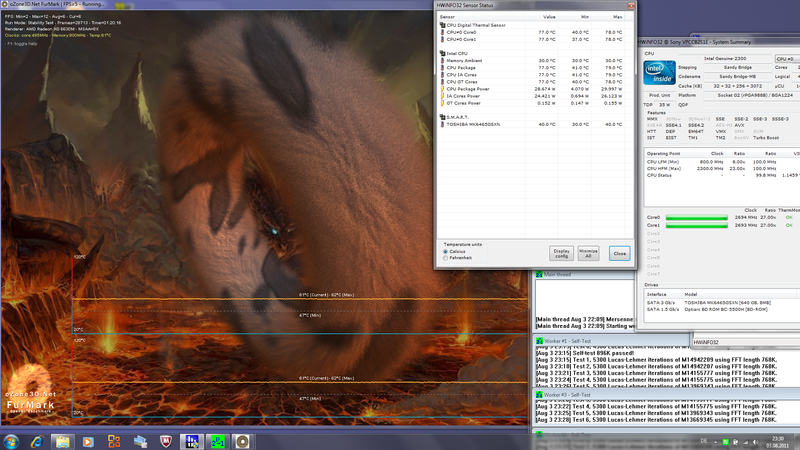 But since the AMD graphics card is also DirectX 11 capable, we will also take a quick look at the 3D Mark 11 benchmark. In the 3D Mark 06 test, the Sony notebook just manages to land in the upper half of the benchmark table with 6806.0 points. If you look just at other notebooks fitted with an AMD Radeon HD 6630M, it is again noticeable that the Sony has a mid-table position. 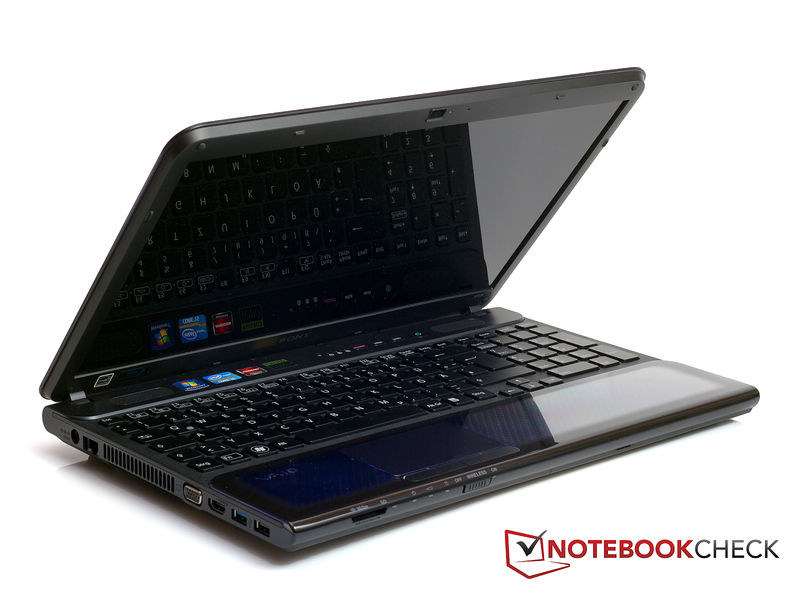 The notebook with an AMD Radeon HD 6630M that scores the most points is made by Dell; it’s the Dell Vostro 3450 (N34506 (2410M, HD 6630M) and it scores 7269.0 points. The lower boundary is marked by the Lenovo ThinkPad Edge E420s-NWD4NGE (2410M, HD 6630M) with 6432.0 points. 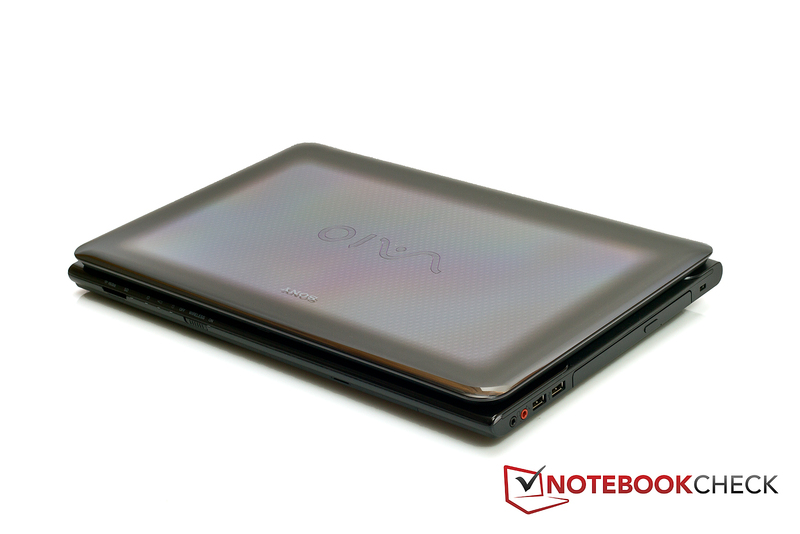 The Sony Vaio VPCCB2S1E/B falls exactly in the middle of the comparable notebooks. The 3D Mark 11 confirms the result that the 3D Mark 06 gave. Compared to notebooks with similar hardware, the Sony machine is again in a mid-table position. Its result of 987.0 points places it once again between the Lenovo ThinkPad Edge E420s-NWD4NGE (2410M, HD 6630M) with 970.0 points and the Sony Vaio VPC-SA2Z9E/B (2620M, HD 6630M) with 1023.0 points. 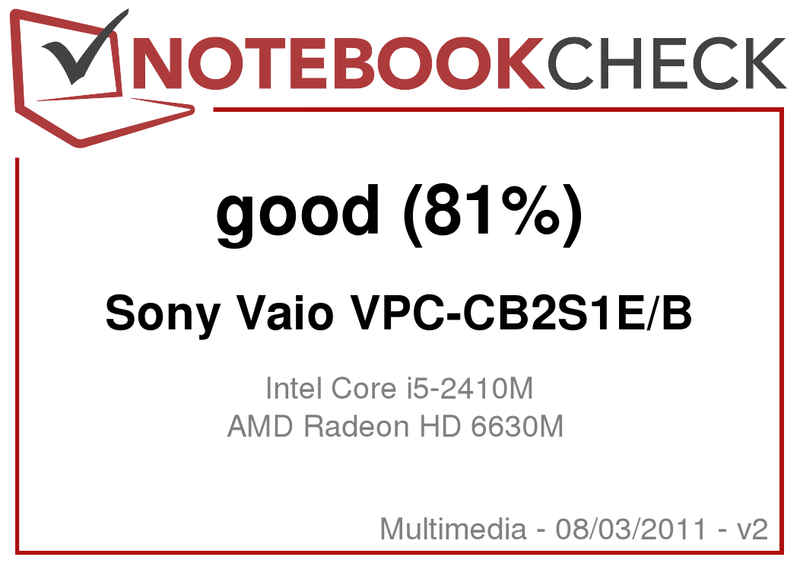 So the Sony Vaio VPCCB2S1E/B does not break any records, but its results are solid and speak to a good level of performance. A 2.5-inch hard drive (Toshiba MK6465GSXN) has been used in the Sony Vaio VPCCB2S1E/B notebook. The total capacity of the hard drive is 640 GB, which should be enough for most users. Its speed of 5,400 rpm is the same as most other notebook hard drives. The same goes for the transfer rates; the average transfer rate of 68.2 MB/s is nothing special; quite the opposite. Many comparable models deliver in the region of 75 MB/s. The access time is more positive; 16.9 ms is not bad for a 5,400 rpm hard drive. Similar models generally take around 20 ms.
To determine the notebook’s gaming potential, we tested it with StarCraft 2: Wings of Liberty and Call of Duty: Black Ops. The first game is a real-time strategy, while the second is a first-person shooter. StarCraft 2 played without any difficulty on the two lower settings (minimal and medium). The frame rates were a long way from the outer limits of playability. From the ‘high’ setting onwards (1360 x 768, other settings on high) it starts to get trickier. The 27 fps that it manages is only just above the 24 fps needed for the picture to appear smooth. When you hit the ‘ultra’ settings (1920 x 1080, other settings on ultra) the game can no longer be played fluidly, at 17 fps. Call of Duty: Black Ops is a little less demanding, and can be played without stuttering up to a resolution of 1360 x 768 and with high details. But with this game too, the ultra settings (1920 x 1080, 4x AA, 8x AF, ultra textures) bring the frame rate below the 24 fps threshold, at 22 fps. But these results are more or less what we expected, and match the results from notebooks with similar hardware that we have already tested. You can see the benchmark results of other games on the AMD Radeon HD 6630M in our comparison ‘Computer games on laptop graphics cards’. This laptop can be called quiet, as long as it is not under full load. When idle, the noise level is between 31.6 dB(A) and 33.2 dB(A). In this mode the fan is almost continuously active, as you can tell from the gentle murmuring it produces. The integrated hard drive is for the most part barely noticeable at 31.8 dB(A). Only when it is being read from or written to, does it get louder for a short time. The Blu-ray drive, however, is somewhat louder. At 35.4 dB(A) it can become distracting, especially during the quieter scenes. When the notebook’s cooling system speeds up, it produces a clearly audible hum which at 38.6 dB(A) - 45.2 dB(A) is no longer inconspicuous. We did not hear any unusual noises from the laptop during our testing. 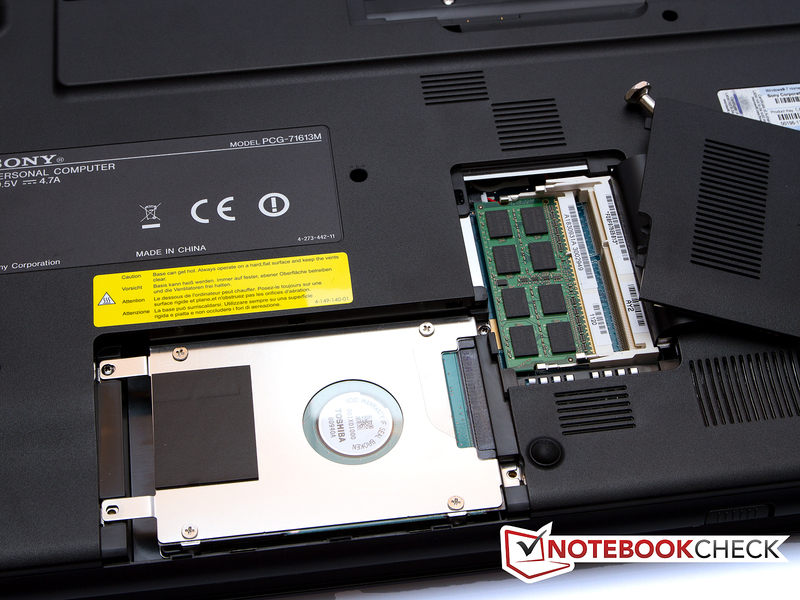 When idle, the Sony Vaio has no problem cooling its internal hardware. The temperature of the case also stays in the green zone. The palm rests only reach 24.8 degrees Celsius (left-hand side) and 27.1 degrees (right-hand side). The touchpad, also in this area, reaches 26.1 degrees Celsius. And things do not look very different on the underside of the notebook. The maximum temperature is just 27.5 degrees Celsius, which is completely unconcerning, whether you have the machine on the table in front of you or on your lap. Under heavy use, the temperatures start to climb significantly, as you would expect. On the top side the maximum temperature rises to 33.1 degrees Celsius. The palm rests heat up to 32.6 degrees (left) and 27.2 degrees (right). The touchpad reaches 33.0 degrees, making it almost the hottest area on the upper surface of the base unit. 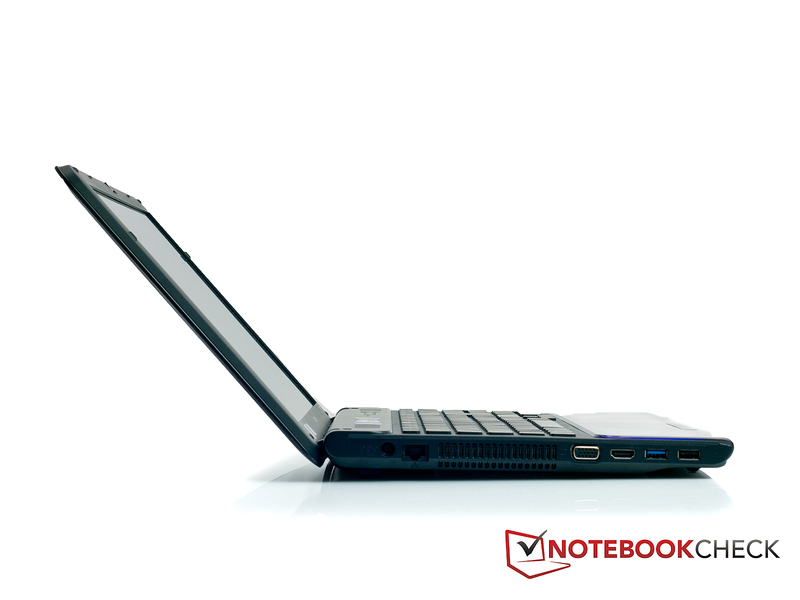 On the underside, the notebook hits a maximum of 40.9 degrees. We simulate full system load by running two programs, Prime 95 and FurMark, to place the greatest possible stress on the processor and graphics card. 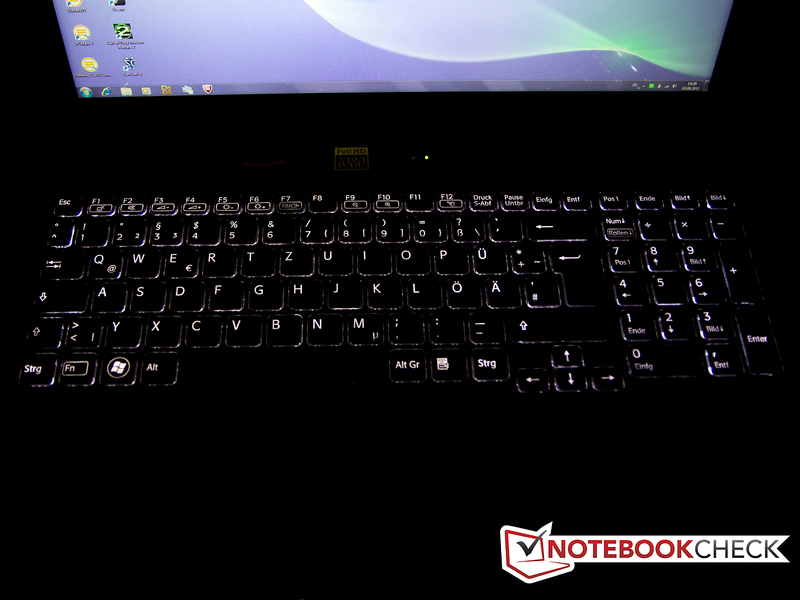 But the Sony Vaio VPCCB2S1E/B was not overly troubled by them. According to HWinfo, the maximum processor temperature was 75 degrees Celsius; this is well out of the danger zone, with plenty of breathing space. Nor did we observe any throttling of the processor or graphics card. The 3D Mark 06 benchmark test that we carried out subsequently gave us no reason to believe that the performance of the notebook had been in any way reduced by the extreme stress. (+) The average temperature for the upper side under maximal load is 28.6 °C / 83 F, compared to the average of 30.9 °C / 88 F for the devices in the class Multimedia. (+) The maximum temperature on the upper side is 33.1 °C / 92 F, compared to the average of 36.5 °C / 98 F, ranging from 21.1 to 71 °C for the class Multimedia. 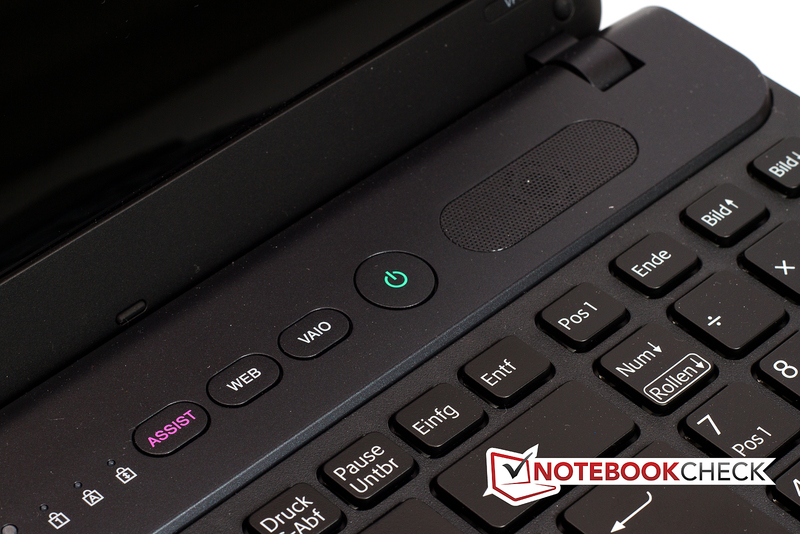 The Sony notebook’s audio system is very good, as long as you don’t turn it to maximum volume. The sound is clear, and generally of a very decent quality. Of course the low and bass tones are completely absent, as with the majority of notebooks. But you can still listen to music or a film on them. Those who have higher standards when it comes to sound quality should be practical and attach some headphones. The Sony Vaio’s battery life is reasonable when in idle; with very few demands on the system, the energy consumption is between 11.9 and 21.2 Watts. In this mode the energy-saving mechanisms of the processor and graphics card are active, which keeps the energy use low. However, when the demands on the hardware increase, the energy consumption leaps to 57.9 - 79.9 Watts. If you burden the system with Prime, which leaves the graphics card alone as much as possible, the notebook draws 68.2 Watts. With heavy use from FurMark, which conversely stresses the graphics card whilst leaving the processor as far as possible undisturbed, the energy consumption is 68.0 Watts. The run times achieved by the Sony Vaio VPCCB2S1E/B are not exactly overawing. The Battery Eater program was used to determine battery life. In the Reader setting, which simulates idle use of the laptop, the battery lasted just under 4 hours (3 hours 58 minutes to be exact). The result of the WLAN web surfing test is somewhat more realistic; here the notebook lasted for 2 hours and 30 minutes. If you like to watch a DVD when you’re on the go, you can rely on 2 hours and 6 minutes of battery life. Under full load the battery only holds out for 55 minutes. To fully recharge the battery, you’ll need a very long 2 hours and 55 minutes. This is longer than the battery even runs for during WLAN surfing. We very much like the look of the Sony Vaio VPCCB2S1E/B, even if the glossy plastic surfaces require near-constant cleaning. The build quality was generally convincing, though Sony showed it is not immune from small deficiencies. The display is undeniably the most impressive feature. With Full HD resolution and an integrated Blu-ray drive, the notebook is outstandingly well equipped to provide mobile multimedia enjoyment. But the display also won us over with its contrast, which was commendably high. The only thing to let the side down was the colour reproduction. The combination of Intel Core i5 processor and AMD mid-range graphics turned out to be a sensible pairing, not only suitable for multimedia or office uses but also able to provide an enjoyable gaming experience. 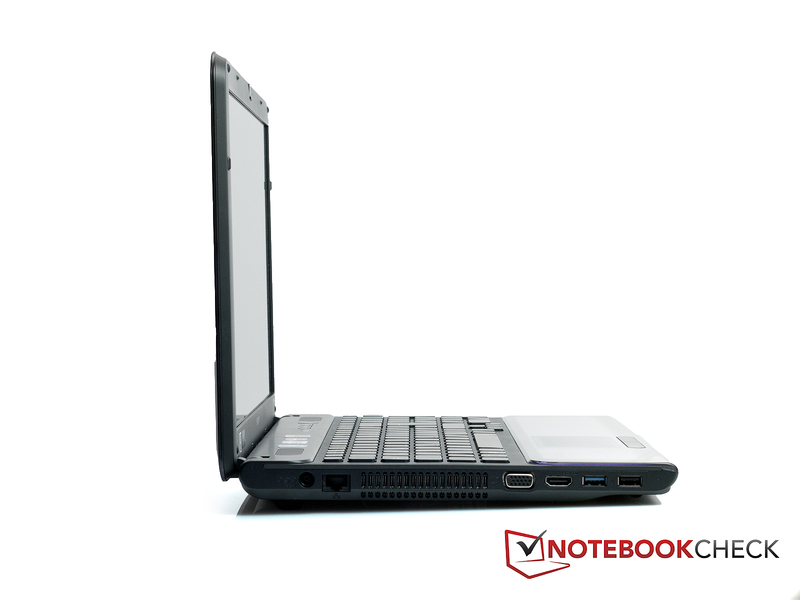 In terms of application performance, the notebook was convincing; it didn’t take the top spot in comparison with other similar notebooks, but it was always near the top of the middle league. The games we tested ran very well for the most part. If you don’t insist on the absolute highest settings all the time, you can play quite happily on the Sony Vaio. We found the keyboard flexed easily, which was a little disappointing. Even when typing quite normally, we could feel it giving way by a few millimeters. Aside from this objection it is a very good keyboard, so we would still rate it as good. 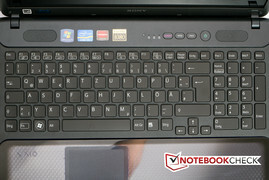 Overall we liked the Sony Vaio VPCCB2S1E/B, which turned out to be a thoroughly serviceable multimedia and work notebook. 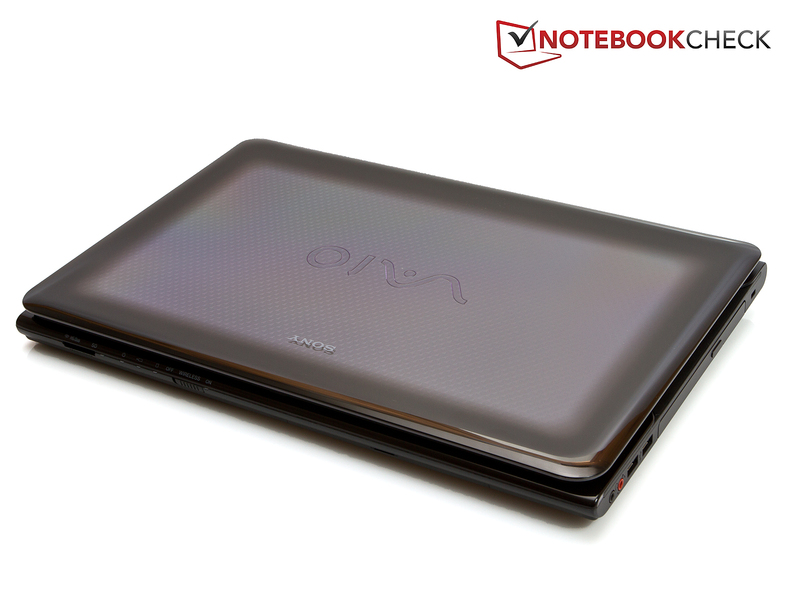 If you prize high resolutions and can live with the glossy surfaces of the case, you should be happy with the Sony Vaio. This gives you access to hard drive and memory. On the underside there are two panels for accessing the hardware. But in direct sunlight, it becomes very tiring for the eyes. In the shade you can still make out the screen contents to some extent. The keyboard itself has backlighting, making it possible to type in the dark. There are a couple of extra function keys above the keyboard. The keyboard is a little disappointing, flexing noticeably even with ordinary typing intensity. The opening angle is not particularly large. The lid is very thick, but this makes it very stable. You should always have a cleaning cloth handy. Elaborate design, with lots of high-gloss surfaces. We really liked the Full HD display with its strong contrast. It may not be suitable for professional image editing, but it is extremely well suited to showing films and games. A matt case. Sony has used glossy surfaces absolutely everywhere, so you constantly have to wipe fingerprints away. That the keyboard flexes so much even during normal typing. We are used to better things from Sony. If you have a slightly higher budget you should take a look at the Dell XPS 15z. As well as an aluminium case, the Dell notebook has a stronger processor, more memory and a larger and faster hard drive. It also comes with a Full HD display. If you would rather pay slightly less, the Medion Akoya P6631 could be what you are looking for. Admittedly you do have to make sacrifices in terms of the case. But you would get more memory for a lower price. This laptop also has a Full HD display.